What Are The Best David Bowie Live & Studio Albums? What are the best David Bowie live albums? What is the best David Bowie live album? 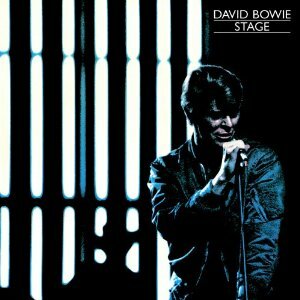 Is it David Live, Stage, one of the more recent albums or one that’s hidden away and you may have missed? If you are a fan, I’d like you to vote in my poll to find out what popular opinion believes is the best live album by David Bowie. There’s no obvious stand-out favourite with David Bowie, unlike The Who Live At Leeds or Thin Lizzy’s Live & Dangerous so you might find the choice difficult. I would imagine that David Bowie, the glam rock superstar will attract votes for Santa Monica and the Ziggy Stardust Soundtrack Album. Others will love the sound of Aladdin Sane and Diamond Dogs turned into soul on David Live. Others will like the move out of soul back into rock on Nassau Coliseum and others will love the Brian Eno inspired electronic Bowie found on Stage. Some might prefer the superior sound quality of the later David Bowie live albums. One of the albums listed above is hidden away. It is the Nassau Colisseum performance from 1976 that has been a very popular bootleg and has finally been officially released as part of the Station To Station repackages. Are you surprised at the results so far? 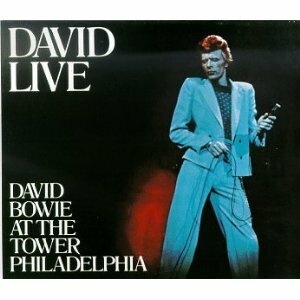 Is there a great missing live album from David Bowie which captures him on a particular tour? I’ve always fancied something from the Serious Moonlight tour to serve as a career overview for the magnificent music he made in the seventies and very early eighties. For the first 202 voters, I forced a single choice to the question. This confirmed my belief that Bowie has released a number of very good live albums but there isn’t one that stands head and shoulders above the others. 1973 Ziggy Stardust Motion Picture with 12 votes (this is a film of the final Ziggy concert at the Hammersmith Odeon in London). Two albums, both from the 1970s are fighting it out for the #1 position in the poll although some casual fans won’t know one exists in legal form. That’s Nassau Coliseum 76 which is sold with the deluxe version of Station To Station. 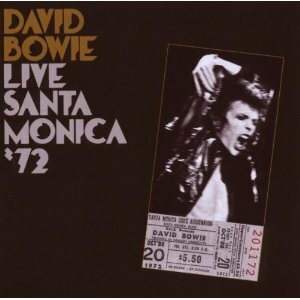 The second album comes from the time when Bowie was playing the alter ego of Ziggy Stardust, Santa Monica 72. Both of these are long-standing bootlegs that finally received an approved release. Both show what an important and innovative artist David Bowie was in the 1970s as his style of music changed. The battle for third and fourth is also keenly contested between David Live in 1974 and Stage from 1978. David Live had a poor reputation when it first appeared. First there was the shock of Bowie”s gaunt appearance due to substance abuse, second was the change in sound from the wham bam glam of his Ziggy days to the more soulful, saxophone drenched sound on the album. Finally the sound was muted. Remastering and a mind free of expectations shows what a great album it is. I’ve upgraded my rating once and it will probably go up again because, to my own surprise, it has become my go-to Bowie album. Stage is more controversial as it catches Bowie during his Berlin phase. This was recorded after Low and Heroes but before Lodger. Working with Brian Eno, these albums had jarring songs with singing and soundscape instrumentals. The song Heroes is possibly Bowie”s best song but I’m not so keen on much of the rest. I’ve always been surprised at how popular Stage is with fans. As the final part of Bowie ‘s journey through the 1970s it is important but I would get David Live, Nassau Coliseum and Santa Monica first..
A Reality Tour does surprisingly well in the poll and it is very good as a summary of his later years through to 2003/4 when it was recorded. David Bowie was, arguably, the most important artist of the 1970s but his work since has been patchy. 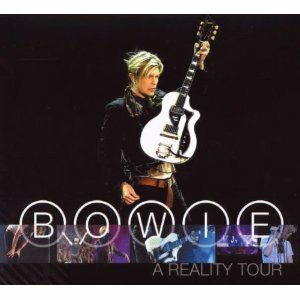 A Reality Tour is an excellent way to find the highlights with some of the classic songs intermingled. It’s strange that his most famous concert – at Hammersmith Odeon in London on 3 July 1973 – when he announced that Ziggy Stardust was retiring (or perhaps dead since the last song was Rock ‘n’ Roll Suicide) was recorded and released as a live album – it’s Ziggy Stardust: The Motion Picture Soundtrack – doesn’t get many votes. That’s partly due to the poor sound of the original release in 1983 and partly because people may not realise what it is. I wonder how these rankings will change now that new voters have the chance to pick their top 3. It’s still not an easy choice. What are the best studio albums by David Bowie? I believe great live albums are often linked in time to the best studio albums. You can see the change in the set-lists as David Bowie leaves Ziggy Stardust behind, moves into plastic soul and then the Eno influenced Berlin albums of thee late 1970s. I expected, Ziggy Stardust to be the clear leader with Hunky Dory second. 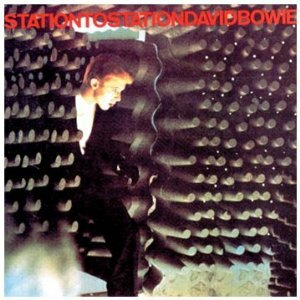 However so far, I am wrong thanks to the strong showing of Station To Station and Low. Note the dominance of albums from the 1970s prime period and the struggle he had for recognition of his later work before his comeback with The Next Day in 2013. Please help me find the best live albums by voting in the readers polls. Albums by David Bowie appear in the classic rock and art rock polls. Because there are so many great classic rock live albums, I have introduced the concept of a second division where albums can be promoted to the main poll if they get enough votes. This entry was posted in Best Live Album Polls and tagged David Bowie Live Albums by Paul Simister. Bookmark the permalink.